What: Elisabeth Kodner of the Milwaukee Bucks discussed the franchise's outreach to its growing Hispanic fan base. Why it matters: While not as large as other urban areas, Latinos still remain a growing and vibrant fan base, with an affinity to hoops. The Milwaukee Bucks (@Bucks) have had a renaissance not just on the court, but in the front office as well. A new arena, new promotions and new community events have again endeared the franchise, and the glory days of basketball in Wisconsin are probably not that far away. One area of expanded focus is in the Latino community. While not as large as other urban areas, Latinos still remain a growing and vibrant fan base with an affinity to hoops. How are the Bucks taking advantage of that opportunity in a more robust way? We asked Elisabeth Kodner, Director of Marketing Strategy for the Bucks, to give us an outline. Approximately 7.8% of the Milwaukee population is Hispanic. We know from the rate the market is growing that this community is an important part of the Bucks fan base in future years. Portada: How has the focus for Latino marketing changed in Milwaukee in recent years? Elisabeth Kodner: "This has always been an important audience for the Bucks and for a few years now we have had a social voice in Spanish (@LosBucks) as well Spanish broadcasts for select games. We are looking to continually build our relationship with the audience and grow interest in the Bucks organization and their efforts in both Milwaukee and the state of Wisconsin. This year we have included in-language television and print media buys, community focus through the “Los Bucks Community Art Challenge” and various promotional events with radio partners across Milwaukee. In addition, beginning on March 9 we will have a radio broadcast in Spanish of all remaining home games." P: Is the community in Milwaukee growing and how can the Bucks increase engagement? E.K. : "This community has seen a 74% growth in Wisconsin since 2010 and continues to grow. Approximately 7.8% of the Milwaukee population is Hispanic. We know from the rate the market is growing that this community is an important part of the Bucks fan base in future years. Our goal is to engage authentically with this audience. This year’s Noche Latina on March 9 is only one part of our engagement and communication, but this NBA-supported themed night has anchored our efforts this year. Many of our partners have joined us for Noche Latina and are changing the arena signage to Spanish for the night. Miller, BMO, Froedtert/Medical College of WI, Potawatomi and AO Smith engaged their affinity/employee groups and are helping activate the game (including $1 nachos compliments of El Rey). P: Are there local brands who have expressed an interest to better engage the community with the team, and if so how does that tie into the team's overall marketing plan? E.K. : "We have received a very positive response to this year’s Hispanic marketing efforts and Noche Latina initiatives on March 9. Our media and community partners have been instrumental in helping us succeed in these efforts. Many of our corporate partners are engaging in Noche Latina and we’ve partnered with Milwaukee Rag for custom t-shirts. The media and musical talent during the game have also been important in developing the marketing communication and Noche Latina activations. We see this year’s marketing efforts as a solid foundation that we can build on moving forward." P: The NBA has made marketing and engaging with the Latino audience a priority for several years. How do the league's initiatives tie to team programs, especially in cities like Milwaukee which have less of a Latino presence than say, New York or Chicago or even San Antonio? E.K. : "We have spent a lot of time on market research and as mentioned above, collaboratively developed a plan to reach this audience in a meaningful way. We don’t necessarily see it as Milwaukee having less of a Latino presence than other cities, but rather as finding the best ways to engage and grow Bucks fans across Milwaukee and the state." P: For years teams have been criticized by the Latino marketing community for slapping "Los" on a uniform and playing mariachi music and having that qualify as Latino outreach. How has the emphasis changed both with the Bucks and with Latino sports marketing in general? E.K. 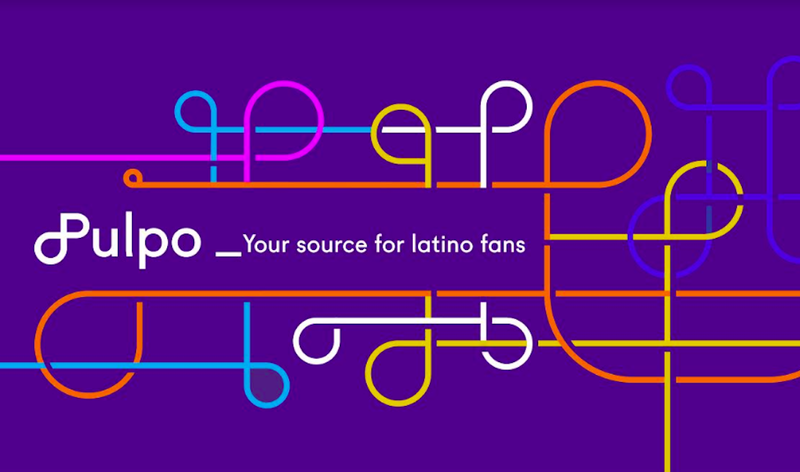 : "Our community, corporate and communications partners have been engaged in our efforts and feel there will be a positive response from the Latino audience as well as an increase in fan engagement. We know this is not a one-size-fits-all market or that our efforts are related to one themed night. Our approach is trying to appeal to cultural touchpoints through relevant media, outlets, and events."